My Dad is a FIFO Dad is a book that will touch many families across Australia and the world, whom experience separation because of FIFO/DIDO work arrangements. This story will help to reassure children that despite distance, fathers can be present in heart, mind and spirit in many situations. 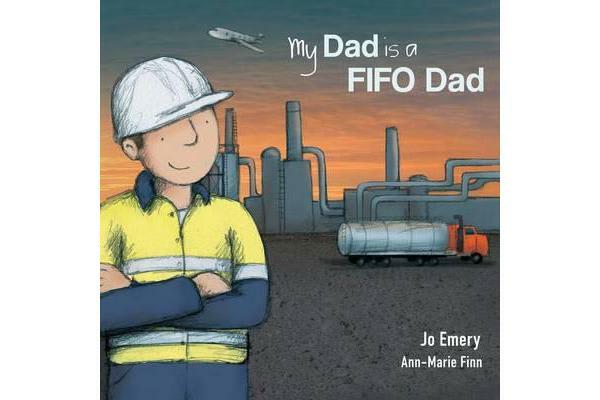 This book forms the first of many support resources for children and families to build and maintain resilience, strength and unity to make FIFO/DIDO rosters fit seamlessly into their lifestyle. The work of Jo Emery aims to encourage an ‘I’m OK when Dad’s Away’ mindset. My Dad is a FIFO Dad is a heart-warming and funny story about a child who feels the love of her Dad even when he is absent at work. It can be enjoyed by children of all ages. While the topic is associated with the FIFO lifestyle, it resonates with anyone who believes in the unity of family.